SEO mistakes come in many forms, mainly due to good intentions. A search engine-friendly domain name isn’t necessary to SEO — there’s significant clout to owning a 10-year-old domain, for example – but it does count. Especially for local markets, geography is important, as well as product or service keywords. If you can snag FortWorthWidgets.com or Denver-Doodads.com, grab them quickly. The changes and importance placed on Google Places in search rankings underlines how important it is that a site is clearly and prominently tied to a geographical area. If your potential client is searching for “Houston dentist,” the practices that have most closely tied themselves to the Houston market show up at top of the results, tied to the mapping. This year’s overhaul of the Places presentation blurs the line between old-style map listings and “organic” listings. Claiming your business listing on Google Places is critical. As is prominent placement — in bot-readable text — of the business’s local phone number and address. Geography should also be included in the site title and description. Any website with contact information only has likely received one or more emails or call out of the blue from a company guaranteeing that its services can push the site to the top spot on Google. The proper response is “No thanks” or delete. This is the SEO equivalent of the Nigerian bank scam. Google has a well-deserved reputation for dealing harshly with people and sites trying to game its algorithms. A website desperate to move into stunts and end-runs may well find itself dropping to the bottom of the search results, or even blocked. Such bad practices / SEO mistakes include keyword-stuffing (loading a page with repeated keywords), keyword cloaking (hiding repeated keywords with non-visible text colors or tiny sizes), keywords that don’t reflect the actual content of the site, backlink spamming and many others. No legitimate business should consider a site on a free host. The web equivalent of perverts, pimps and drug dealers use such hosts for everything from scams to junk backlink sites and unsavory operations of all types. Many legitimate sites have found themselves deleted from search rankings as search engines redline entire servers that host bad sites. With Google now indexing Twitter and other social media channels, there is more reason than ever to establish accounts and be active for SEO reasons. The activity is key, because anyone can create a social account in minutes. But creating a presence in any social media is about regular streams of content, whether status updates or newsfeeds or Facebook’s new Timeline. Google+ is also picking up steam, with more than 111 million active users (from Wikipedia). Google has said repeatedly that its goal is to present the highest-quality sites and pages that match a user’s search terms. 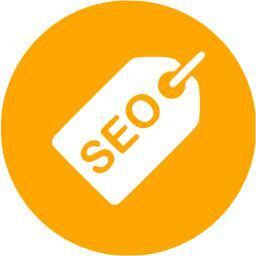 Its algorithms are intended to look at on-site and off-site clues to the quality of the site. Most shaky SEO strategies hinge essentially on faking these clues. There’s another strategy: to actually create relevant, dynamic and compelling content, showcased in a site technology and coding that makes it easy for search engine spiders to navigate and index. SEO Do’s: Take advantage of all standard HTML tags, including image titles and alt text; create page and blog titles and article content that use relevant keywords; use content links to other pages on the site; use links that contain keywords, rather than “read more” or “related information”; use relevant keywords as high in the content as possible; blog frequently and share often. SEO Dont’s: Overuse keywords; use image-based headers and titles unless you know how to make them SEO-friendly. Backlinking schemes are grounded in truth: In its quest to put high-quality content at the top of search results, Google considers backlinks to a web site. The more legitimate or authoritative sites that link back to your site, the better for your site ranking. Obviously this is part of the formula that’s open to gaming, and Google works to keep spammy links from interfering with its algorithm. Purchased links, link-trading and swarms of links generated by black-hat companies and backlink software are in dangerous territory. But good backlinks are another thing, and can be nurtured in a number of legitimate ways, from guest-blogging, social media, comment links and others.